At least once a day, someone calls me office with questions about hypnosis. The most common thing I hear is some variation of “Can I be hypnotized?” or “I’m not hypnotizable, I just know it”. The truth is this…If you’ve ever daydreamed, or become completely absorbed in an activity, then you are completely hypnotizable. Despite what Halloween lore might have you believe, hypnosis isn’t all about swinging watches, magic spells and mind control. — It is the oldest Western conception of psychotherapy and, in mainstream medicine, it has been shown to help patients manage pain, stress and anxiety and combat traumas and phobia. It is also associated with being used to retrieve “repressed” memories connected to mental disorders. Now, new scientific research, bolstered by technological advances, is shedding light on the neurological nuances of the brain’s response to hypnosis. For instance, a recent study from the Stanford University School of Medicine helps explain why some people easily fall into a trance while others do not. As you see from reading the article, being hypnotized is something almost everyone is capable of! But, like everything else in life, practice makes perfect so don’t be discouraged if you don’t see immediate results the first time. 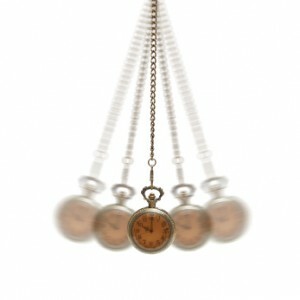 The more comfortable you become with hypnosis, the easier you will be hypnotized. This entry was posted in Gluck Solutions, hypnosis anxiety, hypnosis nyc and tagged article, hypnosis, trance by Dr. Errol Gluck. Bookmark the permalink.